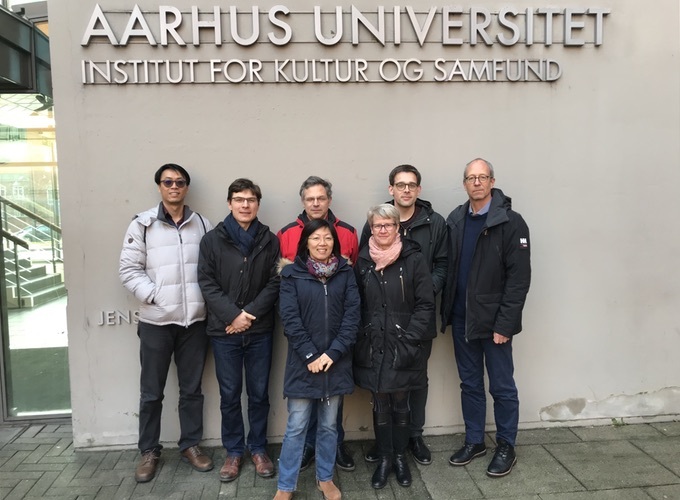 The annual meeting of the ECLC board was held from 15 to 16 February 2018 at Aarhus University's Department of Global Studies in Aarhus, Denmark. This year's participants were: Mette Thunø and Zhang Chun (Aarhus University), Rune Svarverud and Chieh-ting Lin (University of Oslo), and Michael Leibold, Immanuel Spaar and Florian Thünken (University of Würzburg). The finances of the fiscal year 2017/18 were reviewed and accepted and the new budget for the year 2018/19 was approved by all members. Development of the ECLC curriculum and teaching materials as well as further cooperations between the three European institutions were discussed and desided upon. The next meeting is scheduled for the end of February 2019 at University of Oslo.